Due to an increase in insect-borne diseases in Illinois, Illinois-Indiana Sea Grant (IISG) has been working towards informing natural resource professionals about how they can protect themselves when their jobs take them outdoors. An informational piece from this campaign has won a 2018 APEX Award of Excellence in the category of Best Redesign. Through workshops and publications, IISG’s aquatic invasive species (AIS) team has been working to bring information about both tick and mosquito-borne disease prevention to a targeted audience. 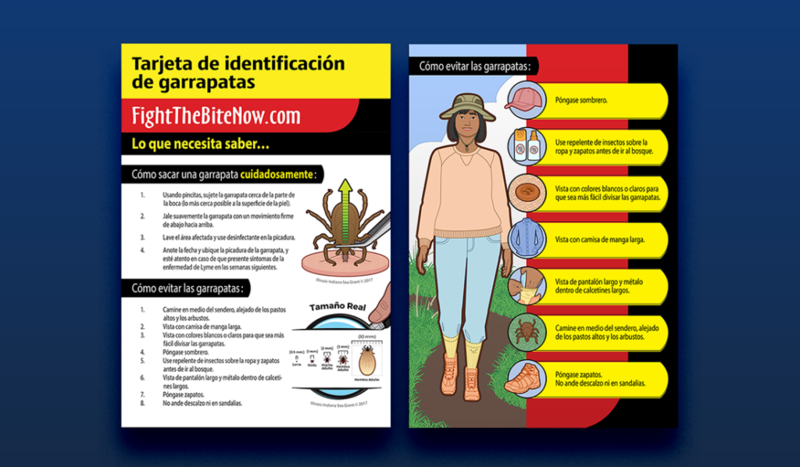 In this effort, a Lake County tick identification card that includes tips for protecting oneself was enhanced and adapted for a Spanish-speaking audience. Pat Charlebois, IISG’s AIS outreach coordinator, oversaw the process, along with Danielle Hilbrich. Graphic designer Joel Davenport created the look of the publication. Altogether, 255 natural resource professionals attended the workshops, with 35 of those attending a Spanish-language one. If you would like more information about protecting yourself from tick- or mosquito-borne diseases, visit Lake County’s website Fight the Bite. 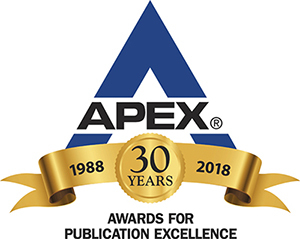 APEX awards are given each year to recognize outstanding publication work in a variety of fields by Communication Concepts.